Aeropostale is bringing back the 1990s. The company announced Monday that Julian Geiger, the previous CEO of Aeropostale (ARO) from 1998 to 2010, is retaking the reigns after a disastrous few years for the teen-focused retailer. 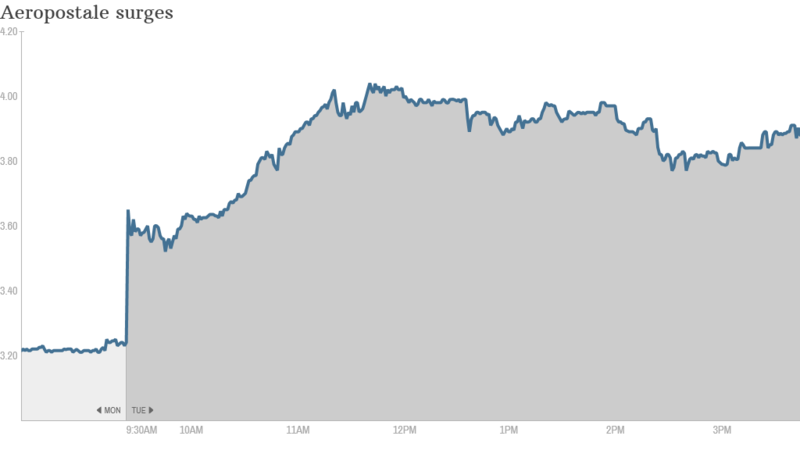 Investors are cheering the news, sending shares up nearly 20% on Tuesday. Thomas Johnson, the current CEO, is stepping down as both the company's head and its board chairman. Since Johnson came abroad in December 2010, Aeropostale's business has weakened on all fronts. Revenues, profits and margins are all down since Johnson took the helm and the company began bleeding money. The chain tried to roll out clothing lines last year that were styled by popular YouTube fashion blogger Bethany Mota, but it didn't help much. 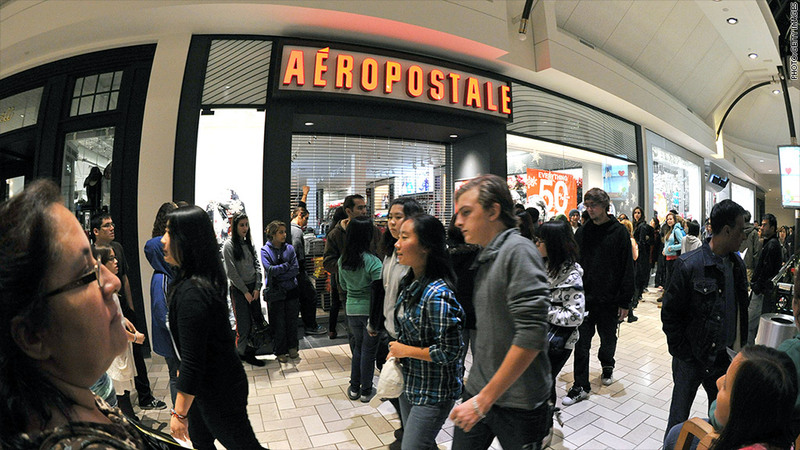 There's even a joke circulating on social media sites like Twitter and Tumblr that if anarchy were to break out, people should seek shelter at Aeropostale because nobody's been there in so long. While there are high hopes for Geiger's return, it hasn't been all roses for him during his two-year tenure leading Crumbs Bake Shop (CRMBQ), which declared bankruptcy last month. Aeropostale is far from alone in its misery. Other big teen brands from last decade such as Abercrombie & Fitch (ANF) and American Eagle (AEO) are also struggling as teens visit the mall less and head to cheaper, so-called "fast-fashion" stores like Forever 21 and H&M when they do go out to shop. But Aeropostale is already suggesting it will have a new look -- for its finances -- soon. The company is now predicting it will be able to trim its losses, although revenue is still down 13% from last year. The full quarterly results for the chain come out Thursday afternoon after the stock market closes.